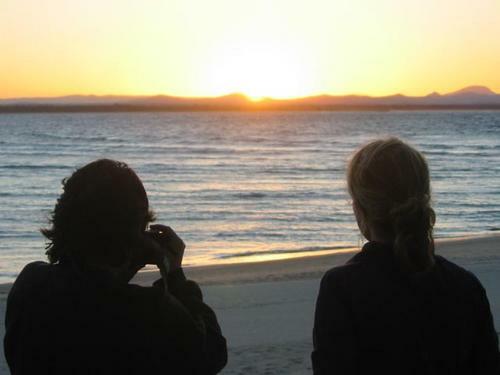 Mei Lin and George watching the sun go down on the second night at Sth West Rocks. We saw a whale in our first 5 seconds at this place. Around the other side near the gaol.